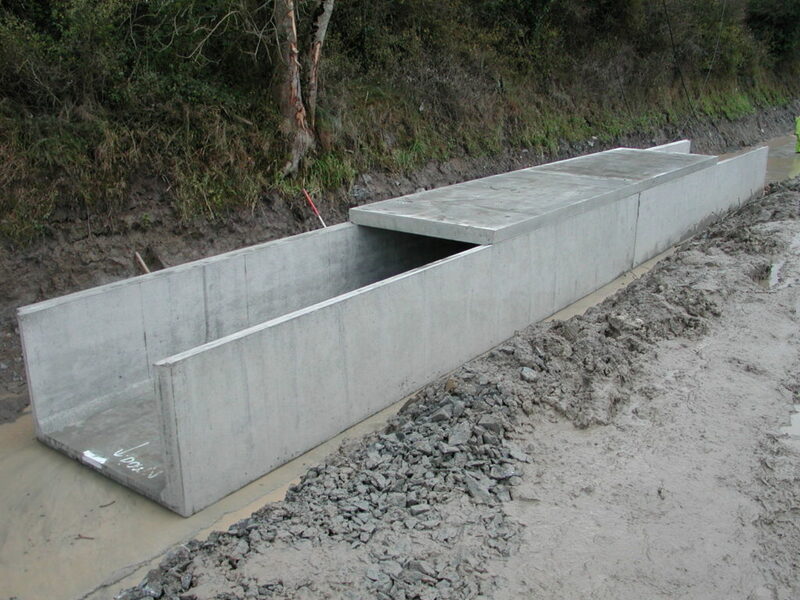 Precast U-Ducts are an innovation from Banagher Precast Concrete, developed as an economical alternative for long runs of box culvert and for storm water retention tanks. Units are produced in lengths up to 10 m reducing both production and installation times. 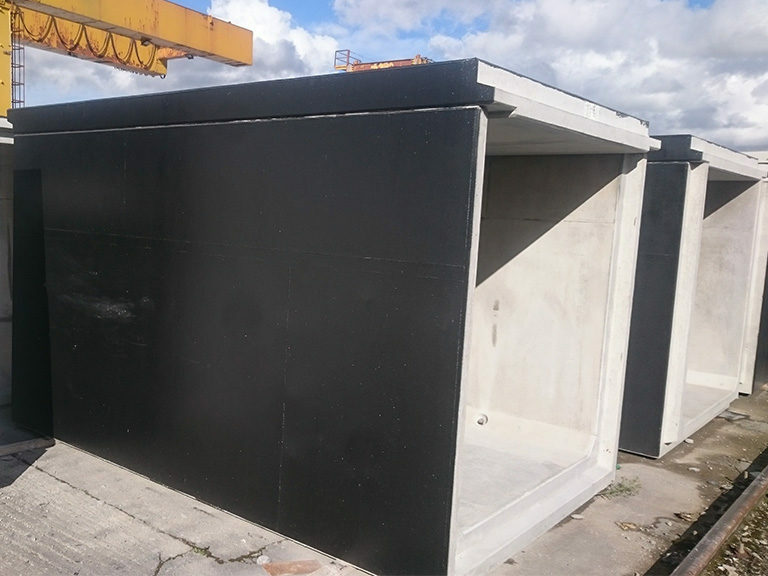 Our high quality steel moulds are flexible enough to produce an ideal solution for most forms of culvert or road underpass. Each U-duct is individually designed by our experienced design team for any application and loading. 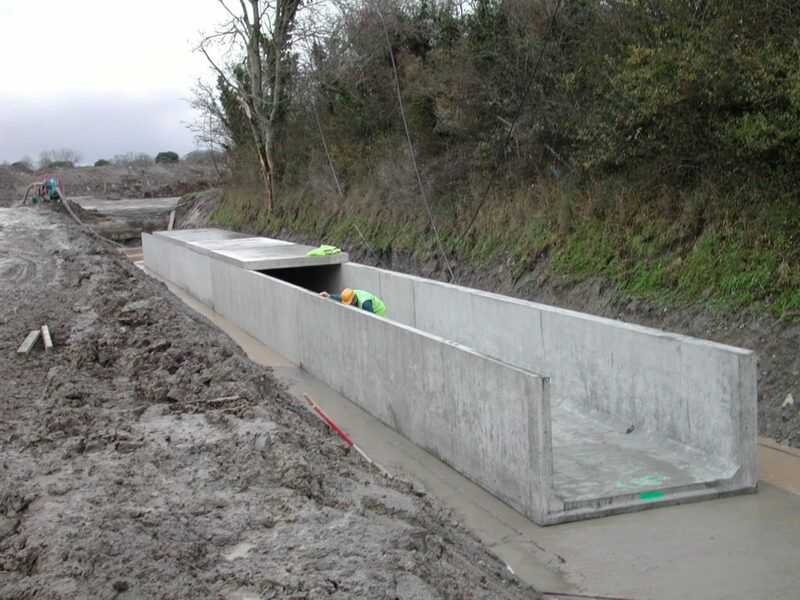 The demand for culverts is constantly growing due to their flexibility and the tight constraints on site programmes. 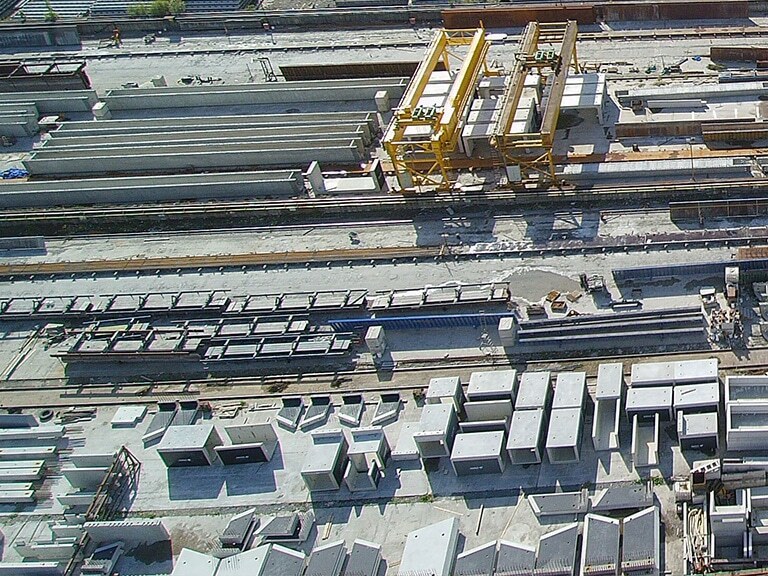 Banagher Precast Concrete have five U-duct moulds in use and we are constantly adding to this list. Each U-duct is individually designed by our experienced design team for any application and for any loading including RU railway loads. 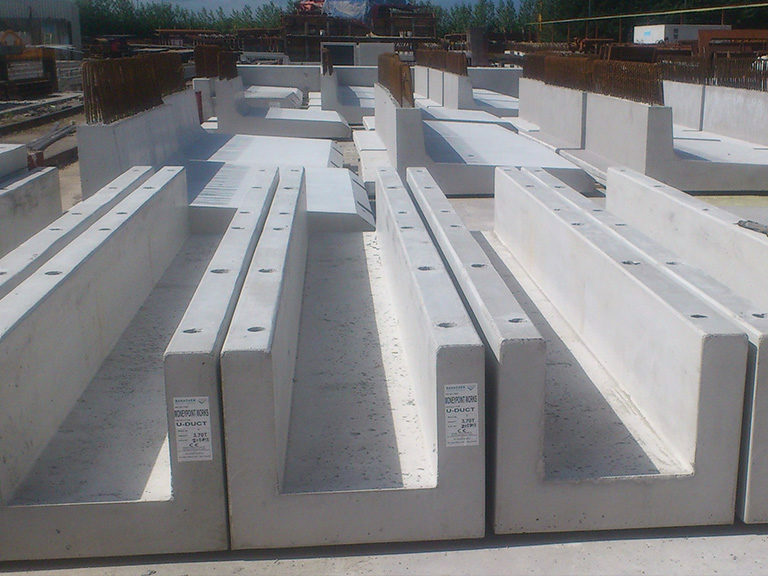 All our designs fulfill the requirements of the Eurocodes.